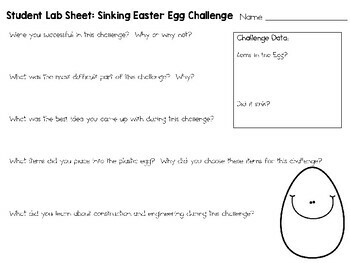 Do your kids love those plastic Easter eggs? Mine sure do! 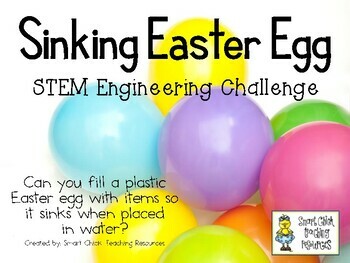 Can you fill a plastic Easter egg with items so it sinks when placed in water? 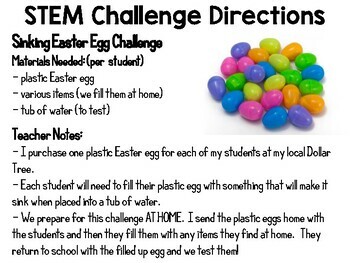 This a really fun STEM Challenge that gets kids working to complete a fun and difficult challenge, students must fill a plastic Easter egg with various items so that it will sink in a tub of water! 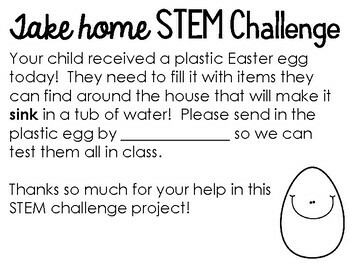 I send the plastic Easter egg home with students for this challenge. They fill it there and bring it back to school to test it!